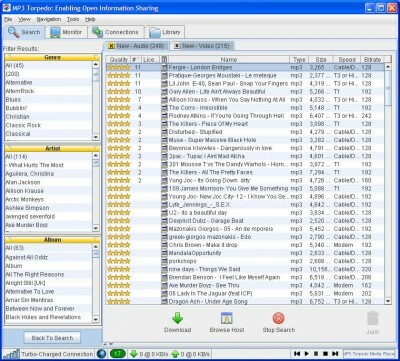 MP3 Torpedo 5.7.4 free download. Improved Resources: optimizes computer�s performance by lowering CPU usage. Faster Connections - new host support improved for multiple P2P connections on the networks.